I am so excited that December 15th is here, and not just because tonight is the BIG PARTY! 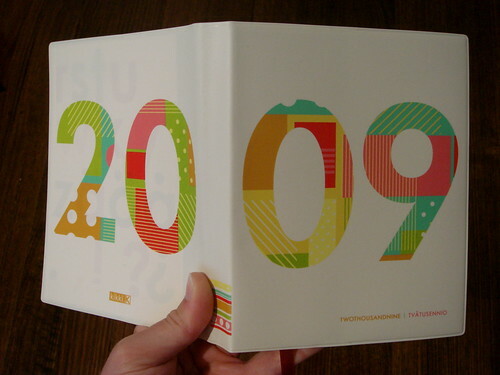 Today's the day when I can start using my beautiful 2009 planner! It's from Kikki K., a Swedish stationary shop in Australia. 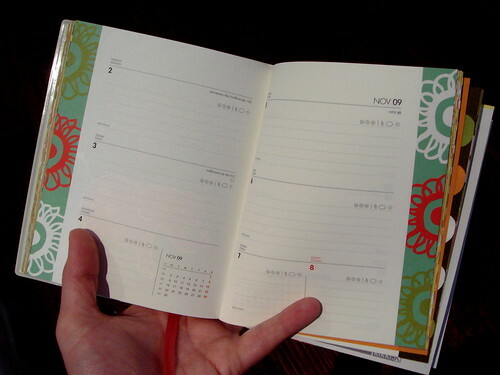 The day planner/diary has a different design for each week. The patterns and colours are so diverse. I love it! I'm definitely going to enjoy writing in all the awesome things that will inevitably happen during 2009.